Hi girls, most of the time I do nail art with water slide decals. I like other nail art techniques as well, but I love water slide decals. 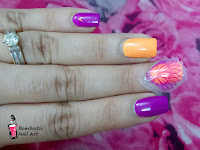 Stamping nail art is a well known and very popular nail art technique. 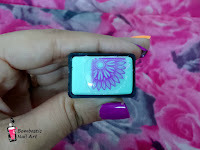 Today, I am going to share a tutorial on stamping nail art which is also known as reverse stamping nail art. 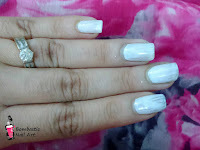 Step 1: Apply one coat of white nail polish so that your nail art look brighter and opaque. 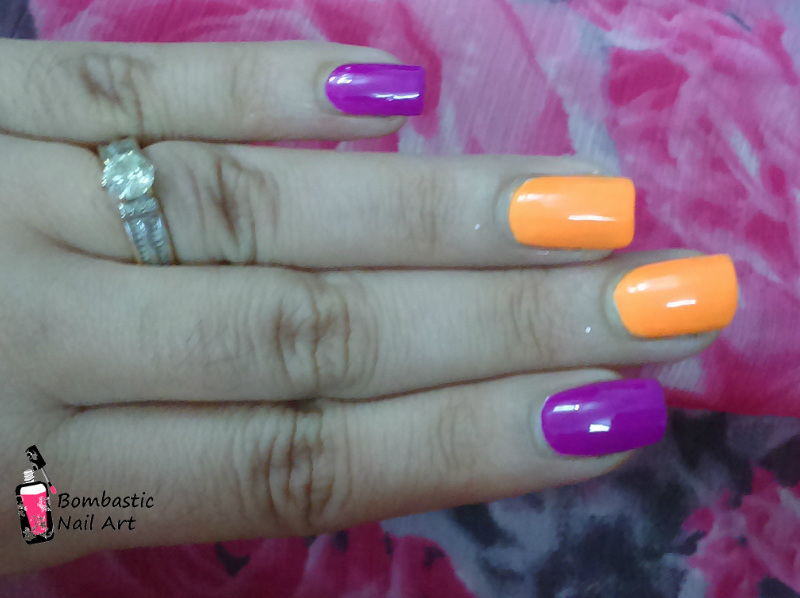 Step 2: I have applied orange and purple shades for my nail art. These shades are from China Glaze Electric Nights collections. 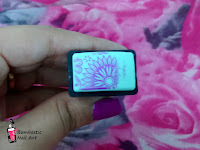 Step 3: I am using Moyou nail art stamping plate. Moyou designs best stamping plates. These plates are deeply embedded. 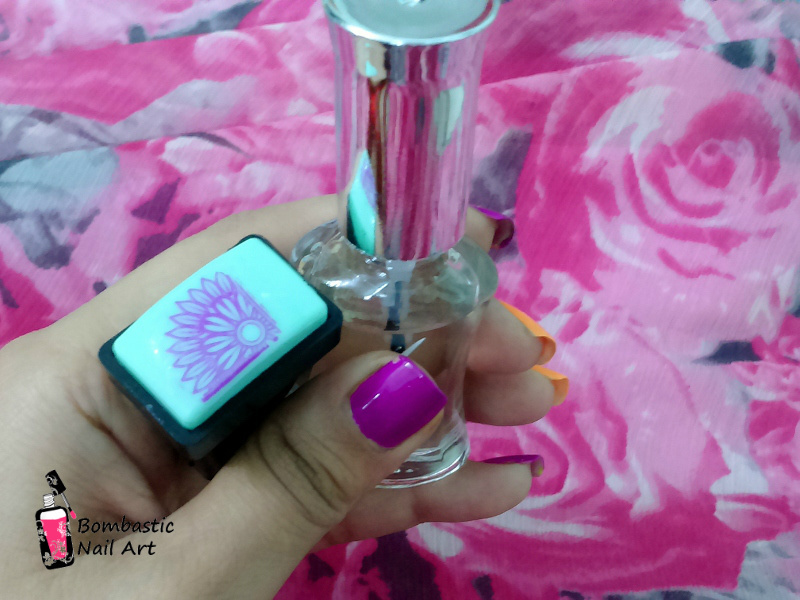 That’s why design comes out very well even without special stamping nail polish. 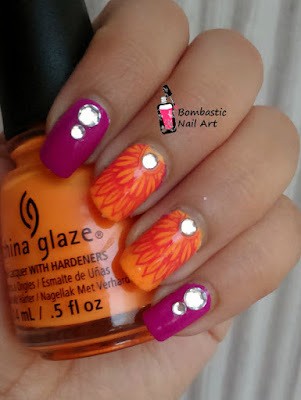 I used China Glaze nail polish for stamping as well. Step 4: Take your favorite image on the stamper. 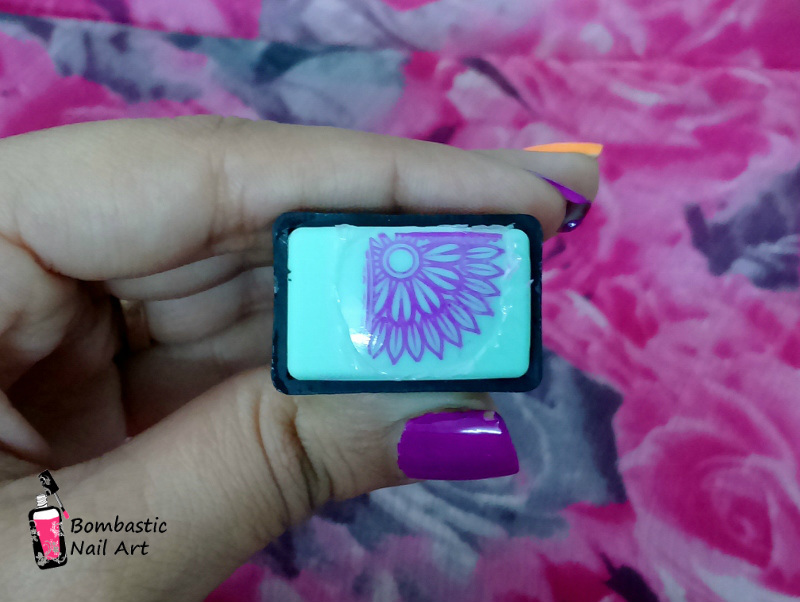 Follow step by step guide for stamping nail art or checkout my video tutorial. Step 5: Clean extra and unwanted design from stamper with buds dipped in acetone and apply top coat. 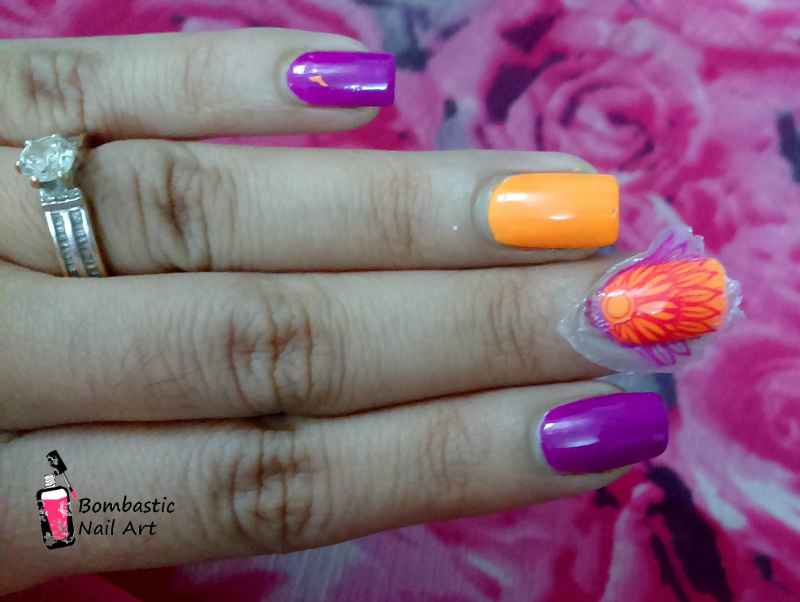 Step 6: Let your design dry for few minutes and peal it off carefully with the help of orange stick and tweezers. Step 7: Set the stamping decal on your nails. Tip: Keep the base a little wet or sticky so that stamping decal sets well easily. Step 8: Apply top coat and let it dry. Finally, clean extra design with orange stick. 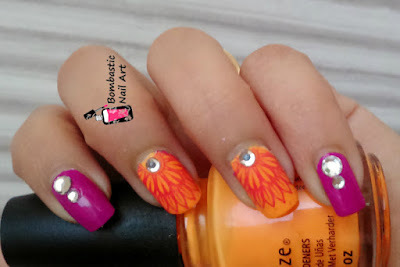 I have added some rhinestones in my nail art. You need nail art glue for longer stay of nail accessories.